A 13 week old pup named Rocky, formally Frank! That's right...now we have a dog and a snail named Rocky! You might know that I already have an adorable little snail named Rocky. It is a cool name. We've only had him for about a week. 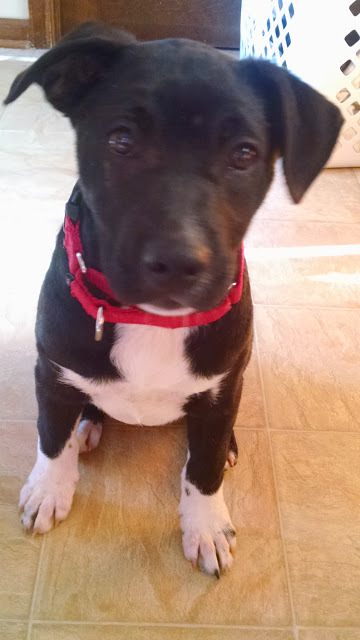 He is Labrador Retriever, Boxer, and maybe Pit Bull or Staffie. Either way, he's a cute puppy! He is super cute. Welcome Rocky! Hi Rocky! You've got big feet! Rocky is such a cutie pie!!!! Hei so cute and I like his name!